Overstrain of the forearm muscles can result in pain, for example due to inflammation of the muscle origins. Colloquially this is known as golfer's or tennis elbow, even though it also affects people who do not play either sport. Epicondylitis straps relieve tension on the affected muscle and tendon areas to help reduce the symptoms. 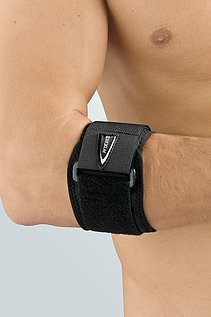 Epicondylitis straps are put on just below the elbow like a wristwatch. The pressure that the support exerts can be set individually using the numbered strap. The support can be used for both the left and the right hands. 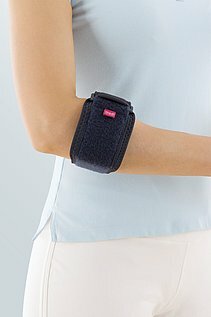 Special cushions relieve the painful areas of the arm to promote healing and well-being.